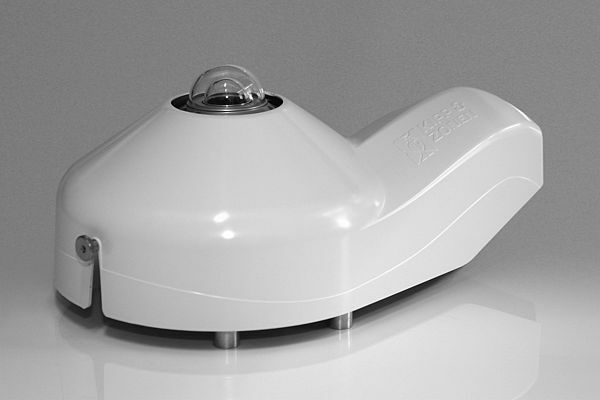 Kipp & Zonen introduces the CVF4, a new ventilation unit for its pyranometer and pyrgeometer range. The latest flow simulation software and micro flow and temperature measurement devices were used in the development process to maximise the performance. At the top of the pyranometer dome the flow is very high and it swirls to improve the air distribution over the dome. The position of the heaters and the new cover material ensures that only half the heating power is needed to melt frost and snow compared to older ventilation units. The cover of the ventilation unit can be removed without tools to check the radiometer desiccant. Together with the improved access to the ventilation fan fitter and the radiometer, this makes the unit easy to maintain. It is easy to use, operates in all weather conditions and improves the availability of high quality measurement data from pyranometers and pyrgeometers.